Place youth at the centre for peace, to transform our solutions. Aaranya Rajasingam’s talk will explore her experiences as an activist working with youth for peace in Sri Lanka, after the end of a three decade long violent conflict. It offers insights about the benefits of youth leadership and participation, as well as the dangers of keeping the youth outside of power structures. She will also share her personal experiences as a young woman grappling with the legacy of the war and the challenges in the road ahead for us. 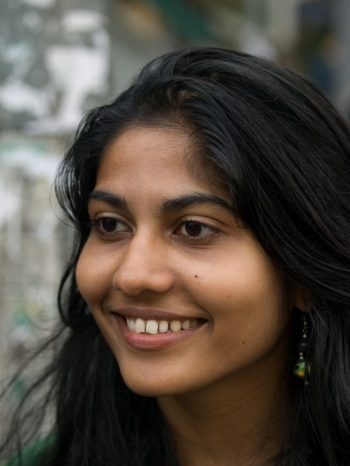 Aaranya Rajasingam is a peace and women’s rights activist in Sri Lanka. During her time in Viluthu, a local NGO, she helped mobilize women and youth networks from war affected areas to participate in peacebuilding processes and national policy making. At present she is the Policy Coordinator at GIZ Colombo.